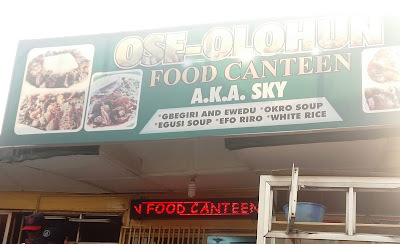 Explore the World with Esther Adewoyin: OSE-OLOHUN FOOD CANTEEN A.K.A SKY A.K.A AMALA SKYE BANK. OSE-OLOHUN FOOD CANTEEN A.K.A SKY A.K.A AMALA SKYE BANK. Do you like it local? Ose olohun food canteen is one of the best restaurants you can find in Ibadan, Oyo State, Nigeria. Located beside Skye Bank PLC just opposite the popular Bodija market. 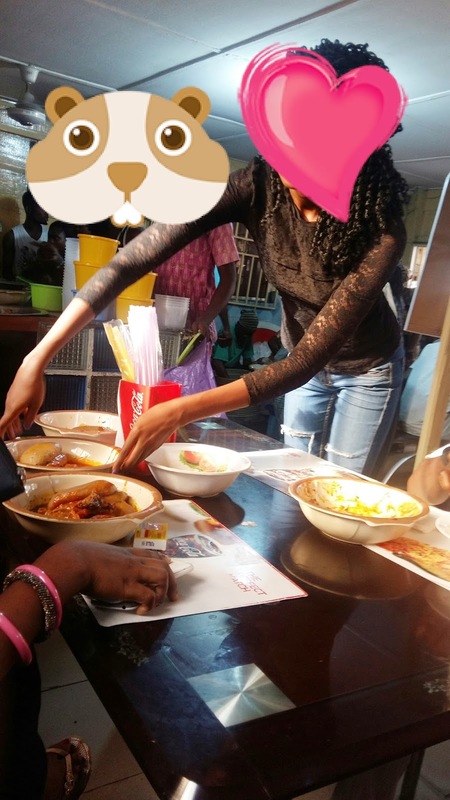 They have variety of Nigerian meals ranging from Amala(Yam flour), Iyan(pounded yam), Jollof rice(the type that you can bite your tongue), eba,etc, with different stew and soup like ewedu, efo riro(vegetable soup), egusi, gbegiri(bean soup), Okra etc and of course orisirisi (all sort of) assorted meat, fish, etc. 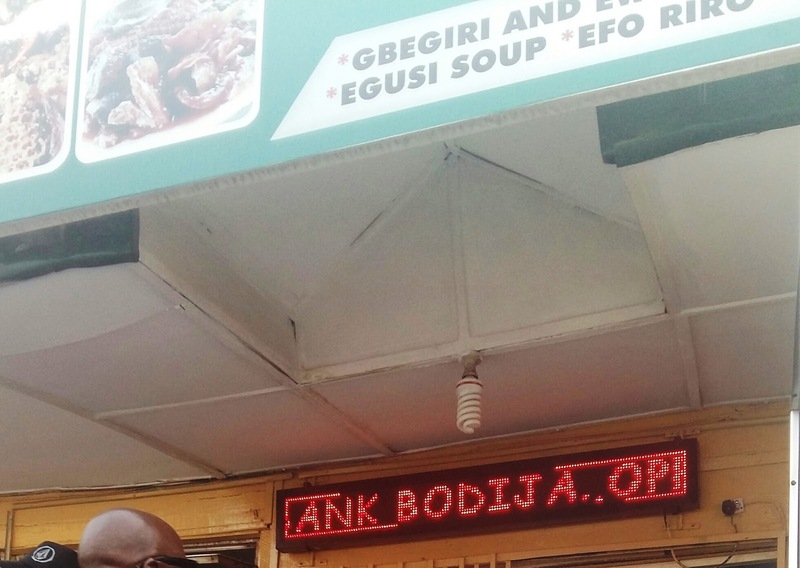 It is one of the busiest restaurants in Ibadan. Despite the little parking space available, be sure to see different types of exotic cars and sophisticated people parked to have a taste of the meals served in this canteen. 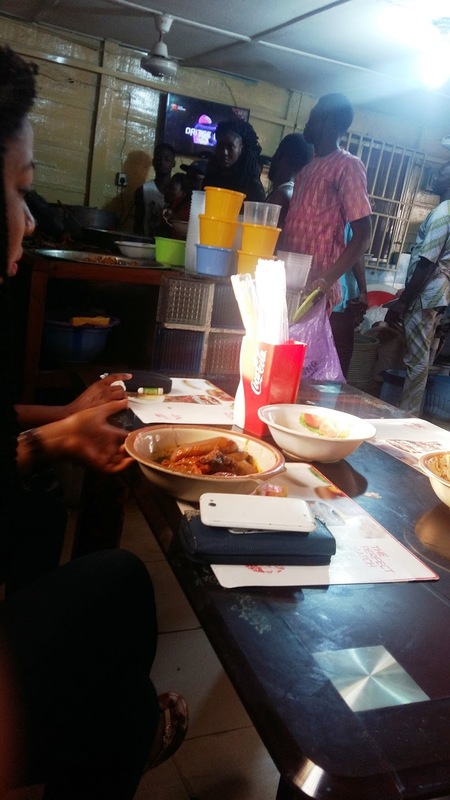 Ose Olohun food canteen popularly called Amala Skye bank is known for their soft Amala and succulent meat. 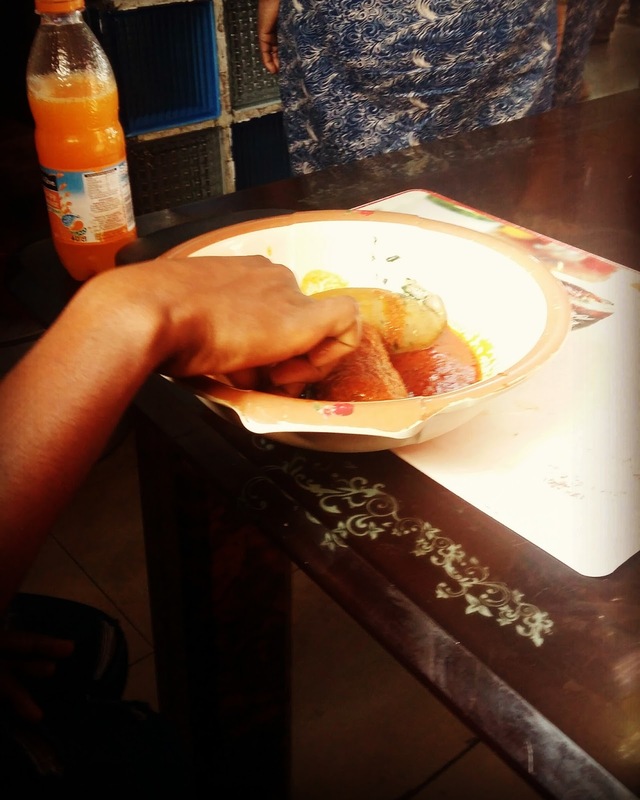 Whenever you find yourself in Ibadan you can always branch to have a taste of their meal, we bet you would love it. Their food is quite affordable and the security there is good. No one is going to harass you. Eat your food and drive off. 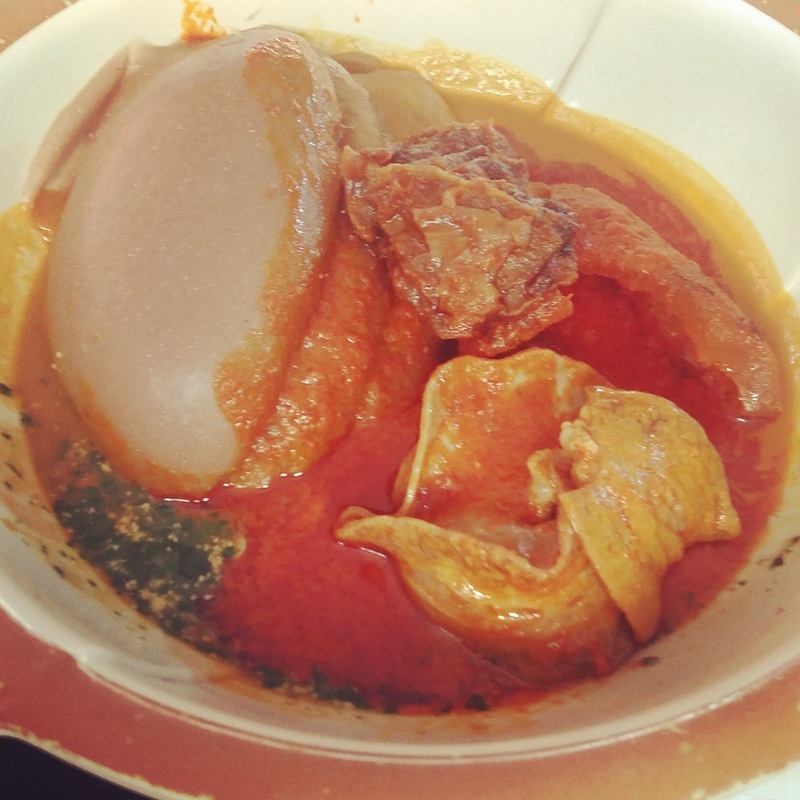 I really need to open an account at this amala sky bank,oh my God...that amala's so soft & enticing.